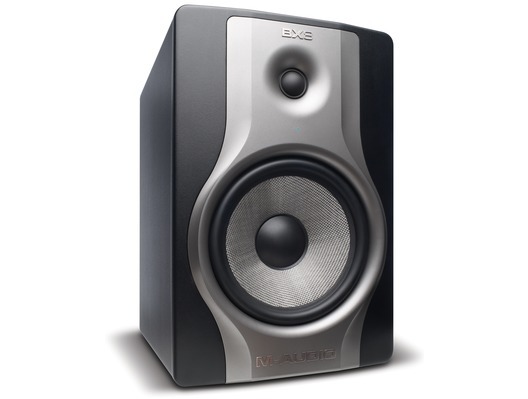 The fantastic BX8 Carbon studio monitor by M-Audio helps you track, monitor, and mix with confidence by providing accurate sound and dynamic acoustic control. Equipped with an 8" woven Kevlar low-frequency driver and 1.25" natural silk dome tweeter, the BX8 Carbon delivers a flat frequency response, enhanced stereo imaging, and increased clarity. The bi-amplified 130 Watt class A/B amplification means high power with less noise and ensures that your monitoring setup can handle today's modern music with ease. With the BX8 Carbon, your music is ready for any listening environment. Mixing doesn't occur in a vacuum. Your listening environment influences your mixing decisions and, ultimately, the sound of your music. The BX8 Carbon's Acoustic Space Control, a series of calibration tools, helps provide optimal acoustic conditions for tracking, mixing, and monitoring anywhere. 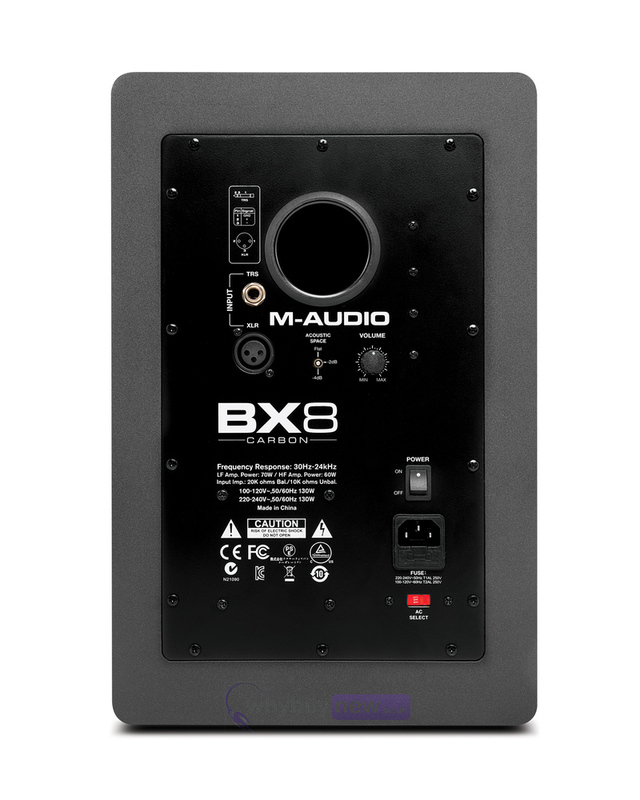 Adapt the BX8 Carbon to any mixing environment-from bedrooms to basements to professional studios-without compromising frequency detail or stereo image. 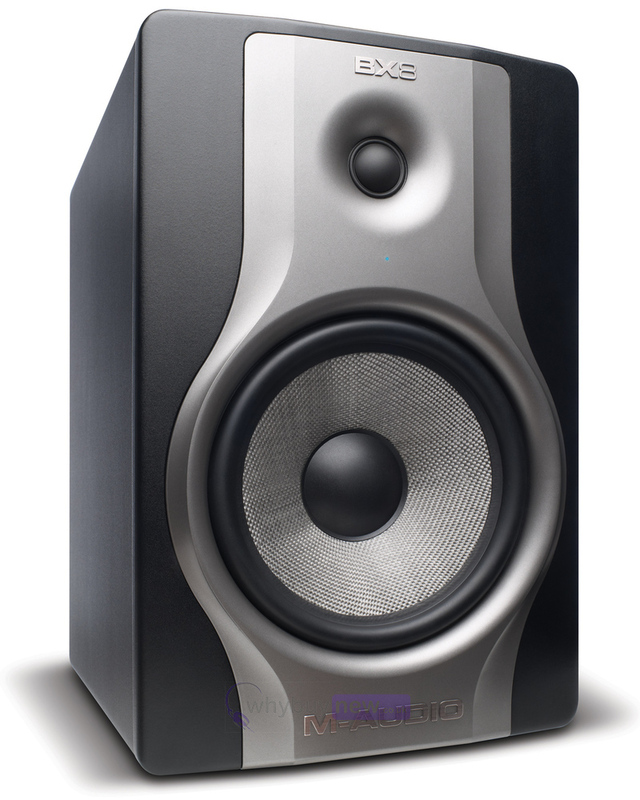 The result is a flexible monitoring setup for the most demanding mixing environments. The tweeter's waveguide has been enhanced to provide an expansive sweet spot and superior stereo imaging. A wider mix position gives you professional monitoring for any calibre studio. Pinhole-mounted LED placement cues help locate and light up the sweet spot to ensure a speaker placement that reliably translates stereo information and frequencies. When the LEDs turn bright, you know you're dead centre and ready to start mixing your sessions or laying down tracks with the BX8 Carbon. 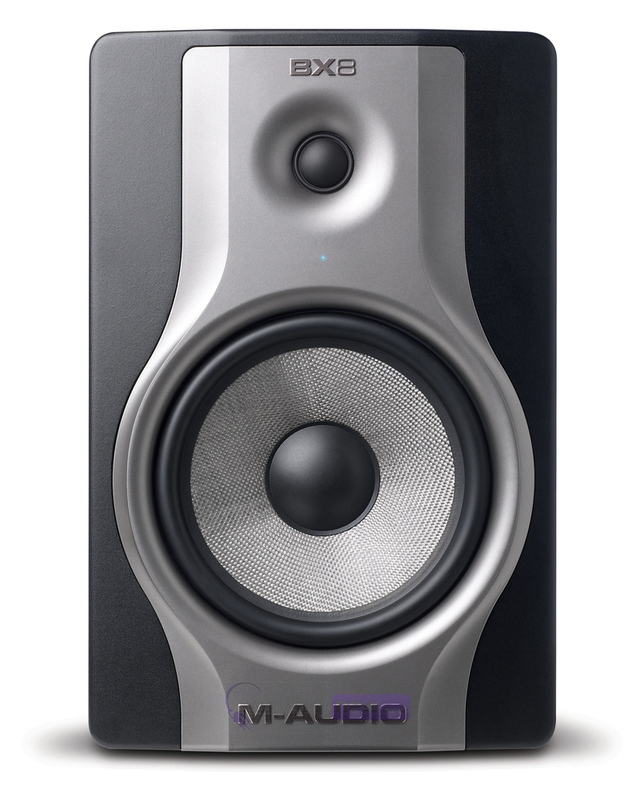 Here we have the M-Audio BX8 Carbon in brand new condition and in B-Stock. The B-Stock versions would have been on display at a training evening or trade exhibition only and will come boxed 'as new' with all accessories and a 1-year warranty.